The popular web TV show “Roadkill” produced by Hot Rod, recently shot an episode with the help of Frank Hawley’s Drag Racing School. The Roadkill hosts David Freiburger and Mike Finnegan showed up last week at Auto Club Dragway in Fontana, CA with a group of 8 contest winners from across the nation. 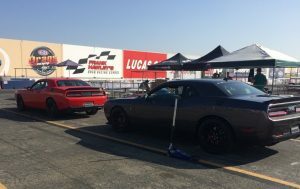 The participants were treated to plenty of tire smoking action behind the wheel of some viciously fast Dodge Charger Hellcats. 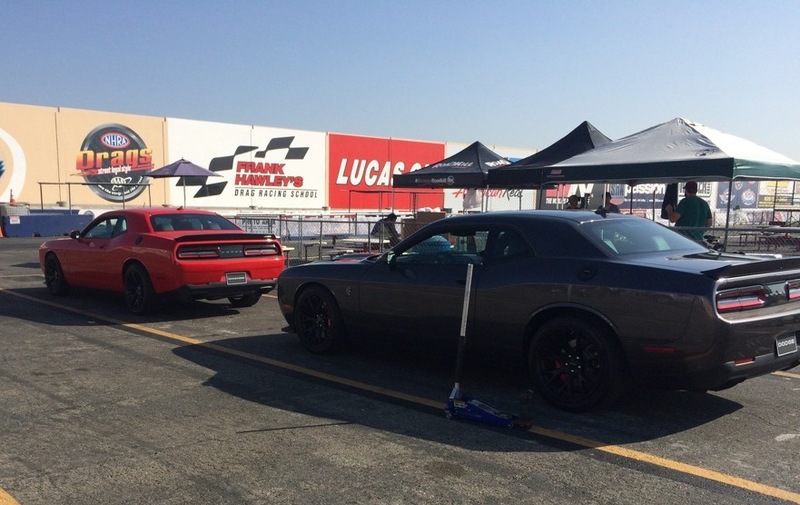 The drivers put the Hellcats to the test during drifting, road racing and drag racing competitions. 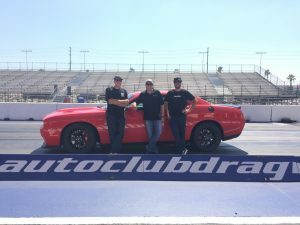 Jeff Arend, NHRA Nitro Funny Car driver and Frank Hawley Drag Racing School instructor, was on hand to show the drivers the fast way to the finish line. “The cars were amazingly fast,” said Arend. “I got a chance to do a little test driving before the show and I couldn’t believe it. You need a lot of skill to get the best performance out of them. If you just floored it the cars would smoke the tires to half-track and if you relied solely on the traction control they wouldn’t run the quickest times. It took a lot of technique to get optimum performance. I had a great time working with the shows hosts Dave and Mike as well as the participants,” continued Arend. If you are a fan of tire smoking action, check out Frank Hawley’s Drag Racing School at www.frankhawley.com or give us a call at 866-480-7223!